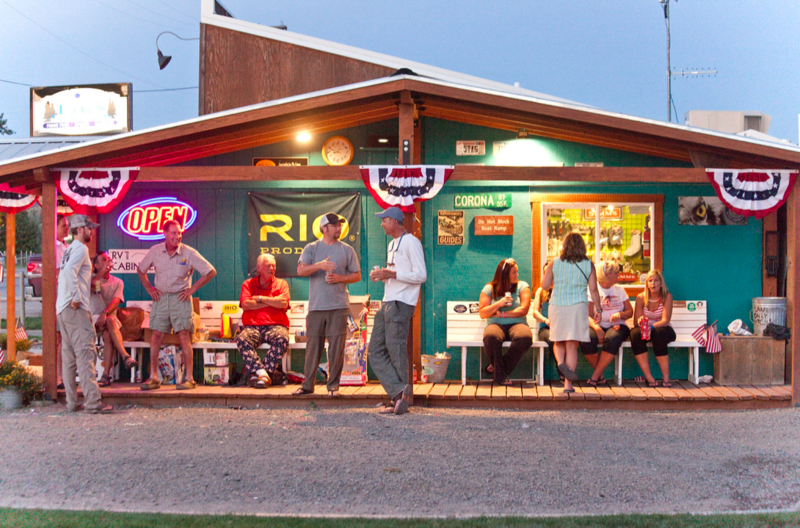 It all started in a Tiki Bar in the lower Florida Keys. This idea. The fly shop idea. Everyone of ours said exactly the same thing upon hearing this idea. Are you out of your f***ing minds? You know there are already two fly shops in Craig? So based on that positive feedback we opened the doors on April 4th 2008. 11 years later. Today. Here we are. Still. We’d love to enjoy another 11. Our original mission statement was Information, education, and customer service. It has changed to include one more word. It now stands at Entertainment, information, education, and customer service. Those are our core beliefs. We stand strongly behind them as we open the doors today. We thank all of our readers, fly shop friends, guided clients, and guests. We thank you for your support yesterday, today, and tomorrow. Thanks. You made this birthday possible. We don’t really want to thank those who stop in the shop to use the Bathroom. Only. The bathroom only. I suggest visiting the other two shops. They have bathrooms too. We thank our longtime staff. Julie quit her secure landscape design job to come quarterback John and Mark’s new fly shop. Thanks Julie. You are the glue that holds us together. Your hard work and dedication does not go unnoticed. Thank you. Sara has been with us for 10 of the 11. Thanks Sara. She has glue like qualities as well. Sara remembers almost every customer. Brilliant. Thanks Sara. Appreciate you daily! Ben Hardy. Headhunters lead guide. 11 years. Ben was with Headhunters April 4th 2008. We met Ben in the Florida Keys so he did not understand the community, the dusty road Craig culture, and that he was supposed to be afraid of our local competition. Thanks Ben. Love you bro.’ Ben has done every job imaginable for Headhunters. Original shop staff, carpenter, fly tyer, guide, soothsayer, mindreader, confidant, small engine repair expert, shuttle driver. Ben is still not afraid. Many of the HH gang beyond the core staff has been here quite awhile too. None as long as those above, and we thank all of them. Jim, Marty, Nichole, Braden, Max, Dewey, as well as some great longterm guides including Kurt, Brett, Beth, Eric, Lindsey, and more. We head into our 11th year with the focus on the customer. The experience. Not expanding our focus, but continually narrowing it. We just want to do what we do everyday, better. That is our singular focus. 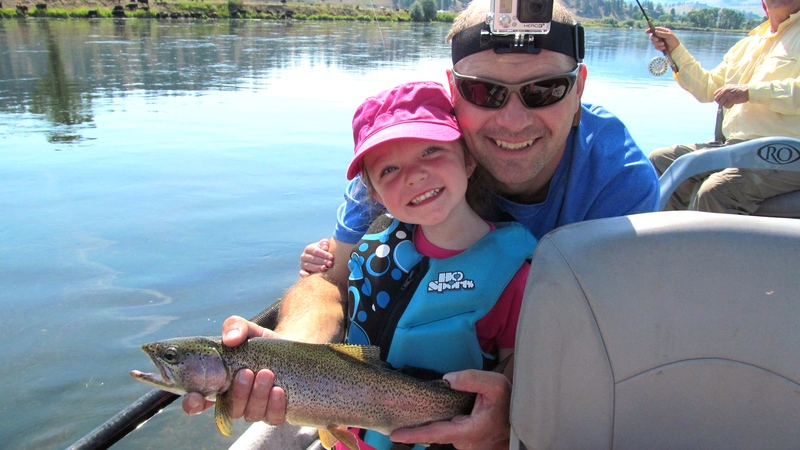 We don’t fish lots of rivers, take guests on travel trips, or any of that stuff. We are focused on one river, with one goal. To help you with your Missouri River experience. We are passionate about making that a goal for both parties. We continue to give generously to 4 groups: Women and children, veterans, Craig VFD, and conservation efforts. Upon these 4 we focus our giving. We thank you again for supporting Headhunters Fly Shop and Guide Service. Stop in and introduce yourself. We’d love to meet you. Thanks to our fantastic fly shop and guide staff. We are not celebrating today with out you. That includes you the customer. We are not writing this today without you either. It takes all of us friends. All of us. 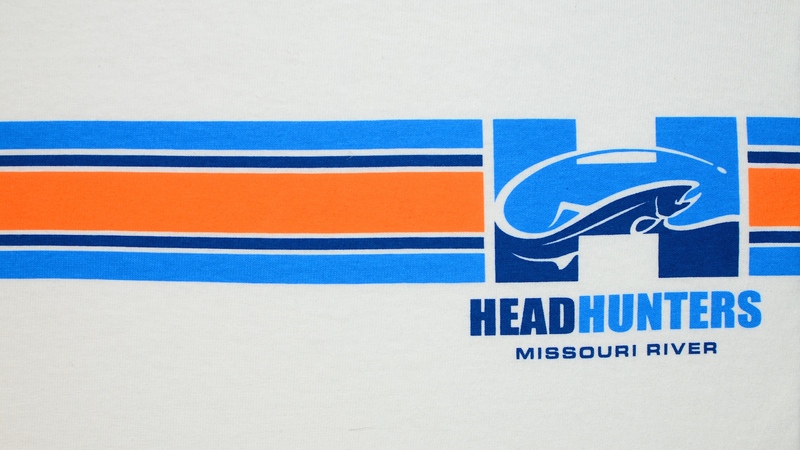 Headhunters Fly Shop Logo Wear Rocks!